Reitz Memorial High School is one of two Catholic high schools in the city of Evansville. The vision statement which follows was adopted by the Reitz Memorial School Board in 2011. Reitz Memorial High School has a strong tradition of educational excellence. Our school is fully accredited by the Indiana Department of Education and AdvancED Accreditation and School Improvement. In May of 2002, Memorial High School was one of 172 schools in the country and seven in the state of Indiana to be named a National Blue Ribbon School of Excellence. Our strong academic program includes the following: accelerated courses in English, mathematics, science and social studies; a bridge program with the University of Evansville which allows students to receive college credits for a number of courses; Advanced Placement classes in science, math, world language, social studies and English; computer literacy emphasized in all areas of the curriculum; two four-year foreign language programs (German and Spanish); a range of business-oriented courses; academic and career counseling at all grade levels; and trade and industry courses offered through a shared-time program with the local public school system. Christianity is not merely an intellectual activity - it is a way of life. One of the most important aspects of being a Christian is contributing positively to the lives of others. With this in mind, Memorial has developed a four-year service program which challenges our students to reach beyond themselves and to touch the lives of others. Because of the importance of service in the teachings of Jesus Christ and because of its educational value, we require that students provide service to others in order to graduate with our diploma. The service is directed toward the Church, the community, and the school. consistent effort to create a Christian community where young people are valued and cherished. 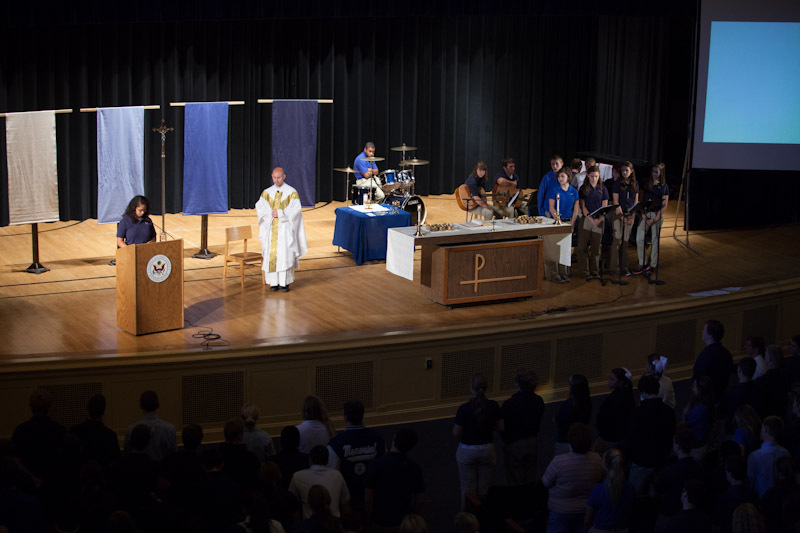 Our students can both experience and openly express their Christian faith. 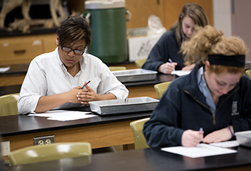 Students are required to take one full year of theology (religion) class during each of their four years of high school. In these classes, students experience religious activities in order to enhance their spiritual lives. Among these activities are annual Days of Retreat for each class, weekly Masses for those interested, various prayer services, and required service opportunities. Memorial is very fortunate to have a priest who serves as chaplain and is also available to provide pastoral counseling.